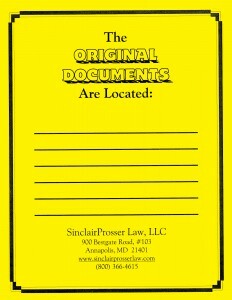 Do you know where your original documents are? We gave them to you in a separate folder and told you to put them in a safe place. 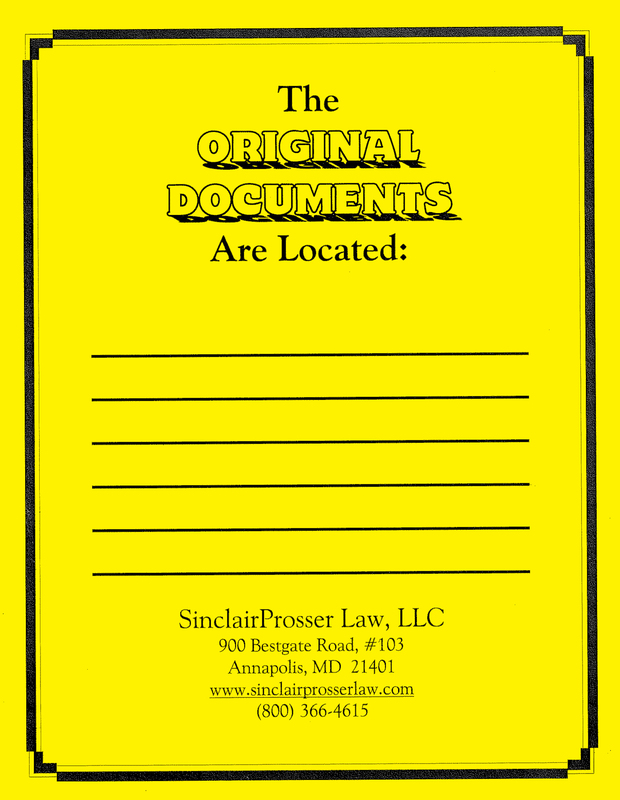 We do not keep your originals! Without the original signed documents you have no estate plan! 1) Marriage. Marriage can automatically give each spouse some rights in each other’s property. However, marriage does not automatically change your will or trust to provide for the new spouse. It is important to examine your estate plan in light of the new situation and your mutual and separate goals. 2) Divorce. Divorce is particularly disruptive to an estate plan. Goals which you had before, such as providing for the now ex-spouse probably have to be changed. 3) Birth or Adoption of a Child. 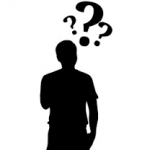 The addition of a new family member can radically alter your estate plan. 4) Illness. If you or one of your family members becomes seriously ill, you may want to consider changing your estate plan to reflect their increased needs. For example, if a loved one now has special needs, you can leave assets in a trust that will not disqualify him or her from receiving government benefits. 5) Change in Feelings about Family and Friends. With the passage of time, you learn more about yourself and others. For example, you may decide your brother John, who lost everything in Enron and WorldCom, may not be the best selection to manage your assets. 6) Change in Tax Laws. As we all know, Congress rarely leaves tax law alone for long. Changes in tax law can mean your estate plan no longer accomplishes its goals. 7) Change in Non-Tax Laws. Periodically, state legislatures change substantive non-tax laws. These laws may affect who gets your property or how your trust may be managed. 8) Inheritance. If you or your spouse have received or expect to receive a significant inheritance, there may be new opportunities to reduce taxes or provide creditor protection. 9) Change in Assets. A significant change in the nature or extent of your assets may give rise to different estate planning options. For example, the acquisition of a farm or business may raise issues of succession planning and discounted gifting. 10) Change in Residence. While estate planning documents typically are valid from one jurisdiction to another, each state has its own peculiarities.